Canon have just announced a brand new camera, amid lots of justified excitement. 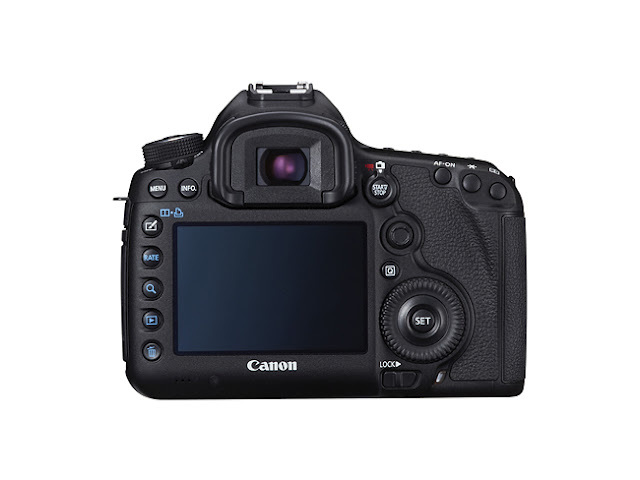 The 5DmkIII replaces what was one of the most successful and popular of all Canon dslrs, the 5DmkII. The MkII was introduced in September 2008, and it took the market by storm. It was successful for a number of reasons, amongst which were its excellent image quality from a 21mp full-frame sensor, high-quality viewfinder, well-laid out controls, ease of use and reliability. For many types of photography, it offered pro-quality image quality at a reasonable price and was therefore very popular with working photographers. It was also the first dslr able to capture full 1080p HD video, and that virtually generated a brand-new video/dslr market out of nowhere. So it is understandable that there has been a lot of anticipation surrounding the launch of the successor to the MkII. The waiting is now over, at least in terms of specifications. 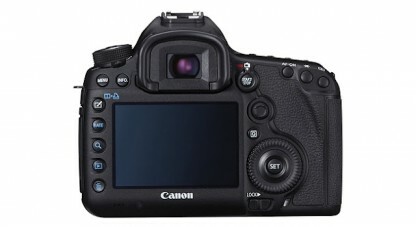 Specifications for the 5DmkIII look extremely good. Perhaps the best way to understand what the new camera is about is to look at some of what is new, and where it comes from. The camera has a brand new sensor. With just a slight resolution increase from 21mp to 22mp, what is most important to realize is that the size of the individual pixels has changed very slightly. Pixel pitch goes from 6.4 microns to 6.25 microns, which is a very slight drop in size. The new sensor is constructed using Canons gapless microlens design though, and it also benefits from 3 years of photo-site technology advances compared to its predecessor. With this in mind I would fully expect the new camera to be show improvements in image quality, particularly noise, at higher iso settings. For my type of requirements as a wildlife photographer, I find iso 1600 the upper limit on my current 5Dmk2, and I am expecting that the new camera will probably allow me to go one stop further with usable results. If that is the case, then iso 800 becomes usable for normal day to day use when I need fast shutter speeds, and that will be a huge plus for me. For some time now, Canon have been producing cameras that are packed full of features that were previously only available on higher end models. The 5DmkIII is just such a camera. The new autofocus system appears to be almost identical to that fitted to Canons flagship action camera, the 1DX. This is a massive upgrade, as autofocus was one area where the old 5DmkII fell behind. Not only does the camera go from 9 AF points to 61, but a good number of these new points are high-precision, whereas only the center point was any good on the old camera. What is more, many of them continue to work at high levels of accuracy, even when slower lenses are fitted to the camera. The new AF points have a much wider spread over the frame as well, which was problematic for me with the old camera. Improvements to the AF dont stop there. The AF points can be grouped in a variety of options, a system first introduced in the 7D. 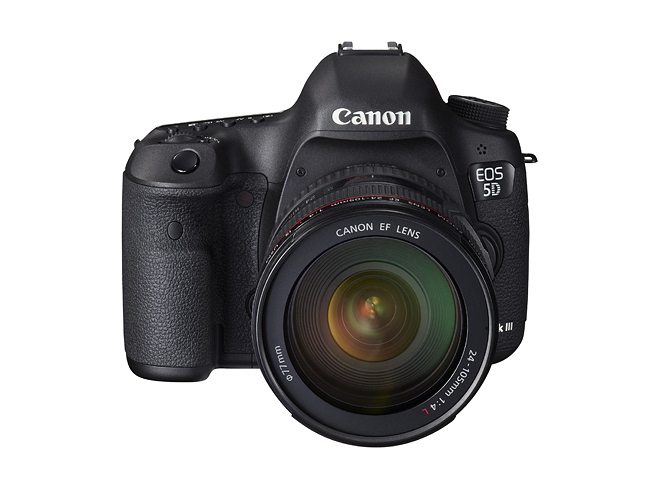 New to the 5DmkIII is the manner in which the performance of the autofocus can be fine-tuned. The Custom Functions to accomplish this have been around on the 1D series for some years now, and on the 7D but many users have found the menu descriptions to be confusing. With this in mind, the 5DmkIII autofocus gives users new menu options with a variety of moving subject option presets to choose from. Depending on the option selected, the camera then makes the necessary adjustments to AF tracking speed, AF sensitivity etc. This will be of much help to many users and also save time. The improvements to the AF don’t stop there either, as the camera’s new processor drives the AF for moving subjects using the latest Ai Servo iii predictive focusing technology. So in just three years, the autofocus has gone from average to what looks to be as good as AF system that Canon has ever put into any of their cameras. 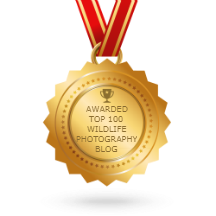 For me as a wildife shooter that alone is a game-changing improvement in the camera. The older camera was not very fast at less than 4 frames per second, which made it less than ideal for fast-moving subjects. The 5DmkIII is now able to shoot at 6 frames per second, which is about the minimum I would like for action photography. Also important is that shutter lag has been reduced from a slow 73ms to just 59ms. These two changes should result in a much more responsive camera, that is even more fun to work with. A new silent drive mode, both for single shot and continuous, should come in really handy when shooting in places where noise might be unwanted. Aside from the new sensor and the new autofocus, the list of improvements on the 5DmkIII goes on and on. Metering system is upgraded to a 63-zone system, similar to that of the 7D. The viewfinder has the LCD overlay first seen in the 7D. That brings with it some very useful options, like the grid, a level, and the control of AF point options. There is a new locking mode dial, and the On/Off switch has been moved to the top of the camera. A dedicated Live View/Video switch is new on the back of the camera body as is a Q-Quick control button, and an M.fn button. There is a bump on the Iso button to make it easy to find without taking your eye away from the viewfinder. The new camera has an eyepiece design that looks similar to that of the 1D-series. There is a larger, higher quality rear LCD screen, with more playback options in the menus. Looking at the top LCD, I can see that the meter for exposure compensation has been expanded to 3 stops from only 2. The rear command dial has a lock to stop users from inadvertently under-or-over exposing. 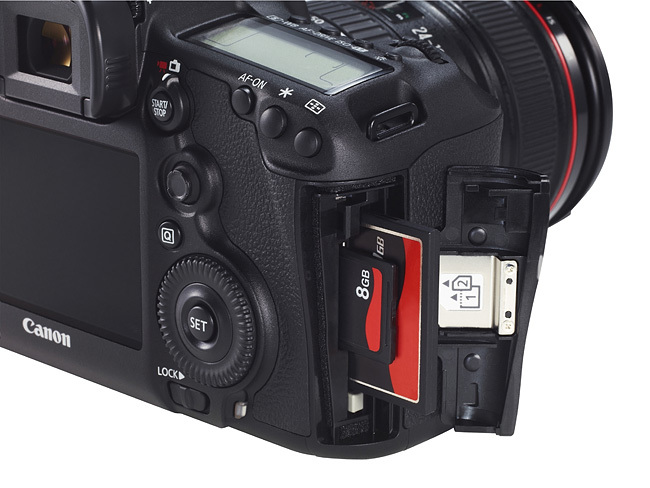 Another great feature is the twin-card slot, with one slot for CF and one for SD cards. This is useful for storage, but also a money-saving feature for users upgrading with only one type of card in their current collections. The camera can write at very fast speeds to the cards, with CF being faster at this point in time. The camera uses the same battery and chargers as the 5DmkII, which is good news. The body has a more rounded shape to it, and is a little bigger than the model it replaces, just be a few mm here and there. Shutter life is rated at 150 000 cycles and the camera body is reportedly weather-sealed to a higher degree than its predecessor. There are still more changes that I have not listed here, but will detail when I am able to carry out a proper field review on the camera. There are also lots more improvements for video shooters which I have not touched upon in this text. Whilst the final verdict will only be known once these cameras are available for actual use, it would appear to me that Canon have created a camera here that may end up being one of the best all-around camera bodies they have yet made. 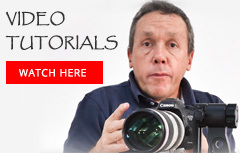 They have done so by whilst sticking to the basic formula that made the 5D and 5DmkII so successful in their time, and that is by offering professional image quality full-frame performance in a body that costs less and is smaller than the pro-series bodies. In 2012 though, the upgrading of AF, frame rate and the other improvements broaden the appeal of the 5DmkIII to a much wider variety of users than ever before. As a long-time Canon user, this camera shows a bit of a departure from what has been typical of new Canon dslr bodies over the past years, in that it does not show a big jump in resolution. Keeping to a similar resolution means that all the advances in sensor design will be directly visible when comparing image quality of this camera and its predecessor. I am very happy about this as I for one have no need for resolutions beyond 22mp at this stage of my photographic career. Bigger files often translate into a need for bigger cards, more memory and sometimes even translate into the need to upgrade computer systems to keep up with the bigger demands the large files create. For a wildlife photographer like me, it would seem that this camera will offer me better low-light performance, better image quality in all light, vastly improved and state of the art autofocus, more speed, better response and better weather-sealing when compared to the camera it replaces. I will be hoping to carry out a real world field review on one of these cameras as soon as I can get hold of one.